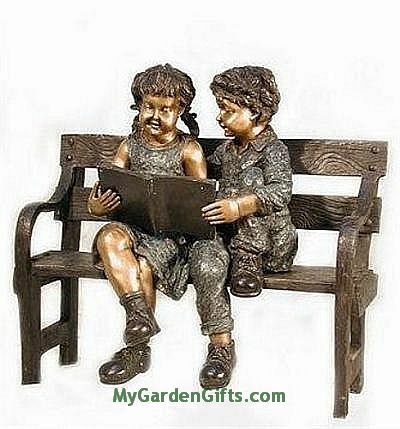 One of our adorable children sculptures, this piece highlights a brother and sister enjoying a read together. Created from bronze, the sculpture comes beautifully detailed and will certainly make an impression for a school or library wanting to highlight the importance of reading. We will match and do better on any in-stock or custom bronze sculpture. Email us. Normally ships in 1-2 weeks when in stock. Up to 12-16 weeks if not in stock.